The Clay Cure Company Premium Superfine Green Clay is characterized by the presence of the purest and highest concentration of Montmorillonite. More than 97% of the total mineral content is made up of this very soft phyllosilicate. 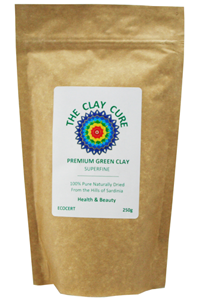 Premium Green Clay has a naturally high alkalinity of 8.8ph and strong negative ionic charge. It possesses high adsorbent power allowing it to draw toxic substances and impurities, such as pollutants, allergen and pathogens from the body. 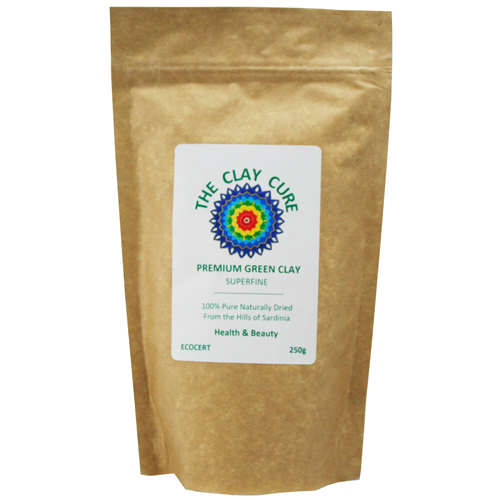 Premium Green Clay is ideal for skincare and internal body cleansing. For general health maintenance, take a heaped teaspoon (non metal) once a day in a glass and add spring water. Let rest for a few hours or overnight. Drink on an empty stomach. Take for a period of 3 weeks with a one week break after, continue this process for 3 months.